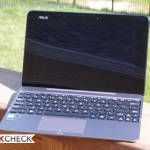 ASUS and Google announced three Chrome OS products yesterday and all are based around a Rockchip CPU. All are, unsurprisingly, very price-competitive. There’s a Chrome OS ‘stick’ called the Chromebit along with two Chromebooks. 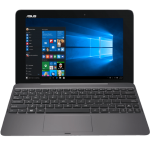 The C201 starts at just $169 which is a mind-blowing price for a laptop, assuming battery life and performance are OK. ASUS are quoting ‘up to 13 hours’ battery life. 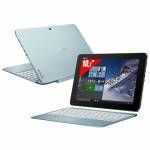 The Chromebook Flip C100 is the most interesting of the new devices in our opinion. It’s a convertible laptop that weighs under 2 pounds (not much more than a Surface Pro 3 tablet) and includes a 10-point touchscreen and a rotating display. The Lenovo N20p was the closest we’ve come to having a consumer-focused / priced convertible Chromebook until now and that one didn’t have a fully rotating screen. At this weight and size (it’s only 15 mm thick) we can’t expect it to have a huge battery inside and the price, $249, also gives us hints that corners will have to be cut somewhere. The battery capacity is usually the first to be hit when prices drop. ASUS are saying the C100 will run for ‘up to 8 hours’ which is a good sign that 6 hours will be reachable under normal online conditions. It’s not all-day battery-life like the ASUS C200 but should be enough for the intended audience. That audience is likely to include a lot of people buying for home and holiday use and that’s a good thing. 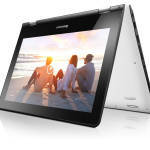 The Lenovo N20P proves that Chrome OS is touch friendly and that convertible form-factors work. As a sofa-side or coffee-shop laptop there’s not much that can compete for flexibility and security. There’s an interesting line in one of the press releases that mentions Android. “Chrome OS gives the Chromebook Flip C100 a full Android tablet experience with the productivity of a notebook.” What does ‘full Android tablet experience’ mean exactly? Maybe that’s something we’ll find out at Google IO. The Flip C100 will be available in the USA in June at BestBuy for $249. I like the ASUS C100 Chromebooks but ASUS keeps using the awful chargers that do not fit in laptop carts. Can anyone give me an alternative charger or cart solution that these chromebooks will work in… WHY ASUS??? « Surface 3 with Atom X7 is just $499 and ultra-mobile.